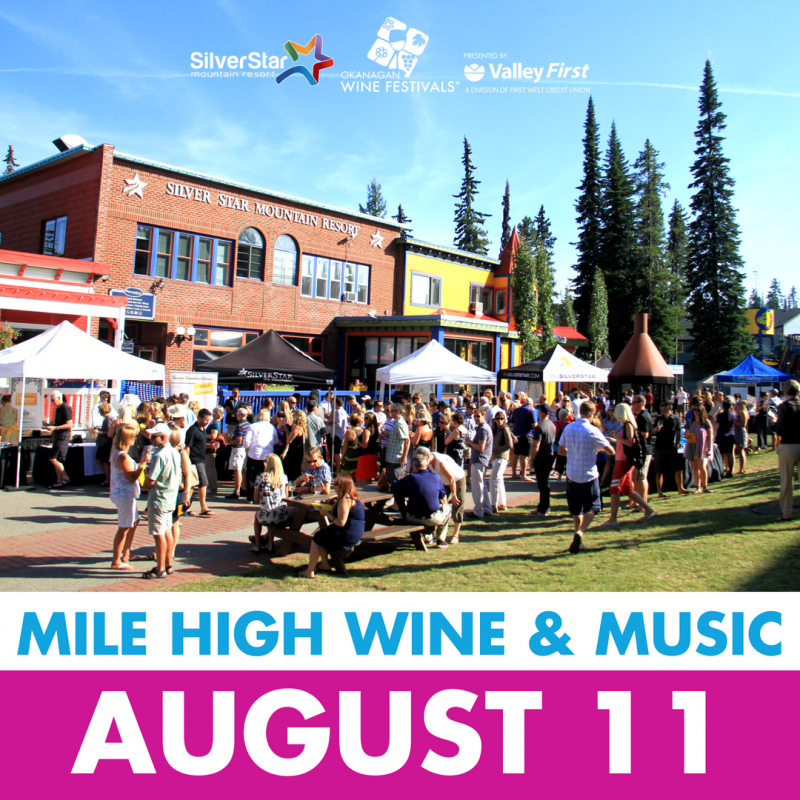 Experience Mile High Wine & Music presented by Valley First at 5280 feet above sea level at SilverStar Mountain Resort. The Okanagan Wine Festivals and SilverStar are proud to bring back Canada’s highest outdoor wine tasting. Taste over 120 British Columbia wines, enjoy delicious food, and listen to live music right in the village. Join us on Saturday August 11th from 4:00-7:00 pm in this stunning outdoors setting. The event is held rain or shine. Please wear comfortable shoes and dress appropriately for mountain weather as you enjoy a unique outdoor event full of fun, wine, and music. Stay the night with great Mile High Wine & Music packages and enjoy all that the mountain has to offer. Noble Adventures will have shuttles to and from the village for Vernon residents. Guests outside of Vernon city limits can contact Noble Adventures directly for shuttle options. One-way fare is $15/person plus GST, return trip is $25/person plus GST. Contact Noble Adventures for reservations at 250-253-8379 or byron@nobleadventures.net.